“I am nothing, but I may be everything,” John Adams, the first vice president, wrote of his office. And for most of American history, the “nothing” part of Adams’s formulation accurately captured the importance of the vice presidency, at least as long as the president had a heartbeat. But a job that once was “not worth a bucket of warm spit,” according to John Nance Garner, became, in the hands of the most recent vice presidents, critical to the governing of the country on an ongoing basis. It is this dramatic development of the nation’s second office that Joel K. Goldstein traces and explains in The White House Vice Presidency. The rise of the vice presidency took a sharp upward trajectory with the vice presidency of Walter Mondale. In Goldstein’s work we see how Mondale and Jimmy Carter designed and implemented a new model of the office that allowed the vice president to become a close presidential adviser and representative on missions that mattered. 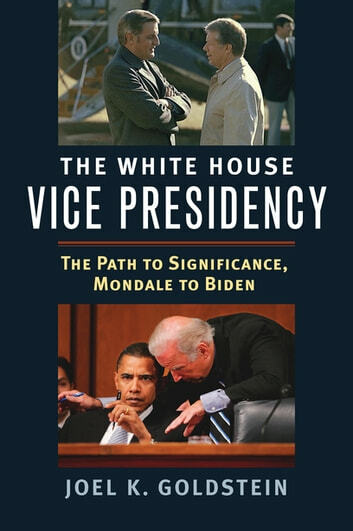 Goldstein takes us through the vice presidents from Mondale to Joe Biden, presenting the arrangements each had with his respective president, showing elements of continuity but also variations in the office, and describing the challenges each faced and the work each did. The book also examines the vice-presidential selection process and campaigns since 1976, and shows how those activities affect and/or are affected by the newly developed White House vice presidency. 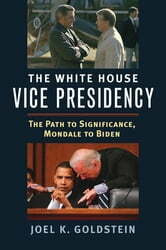 The book presents a comprehensive account of the vice presidency as the office has developed from Mondale to Biden. But The White House Vice Presidency is more than that; it also shows how a constitutional office can evolve through the repetition of accumulated precedents and demonstrates the critical role of political leadership in institutional development. In doing so, the book offers lessons that go far beyond the nation's second office, important as it now has become.